AGC of Ohio sent a FOIA (Freedom of Information Act) request to the Ohio Dept. of Administrative Services to obtain data that was provided to the Inspector General for an investigation and report on EDGE. This information will help make contractors utilizing EDGE participants aware of any potential eligibility and graduation concerns. View the spreadsheet here. The Ohio Inspector General’s report highlighted concerns with the DAS Equal Opportunity Division’s process for approving EDGE companies and failure to remove those whose terms have expired or are no longer considered financially disadvantaged; it came out months after last year’s announcement about graduating EDGE participants according to EOD’s time limit policy. 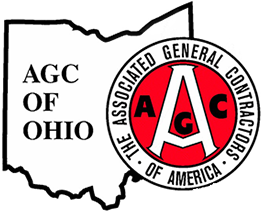 AGC of Ohio has been informed that companies expiring in 2018 are granted until October 1, 2019 to ensure their affairs are in order before their EDGE certification is ended. EOD has also indicated it will release a list of graduating companies on its web page in the near future. In the meantime, the information contained in the spreadsheet obtained by the FOIA request is all that is publicly available to educate contractors about which EDGE companies could be impacted.